China BTA-S Suppliers, China BTA-S Manufacturers. 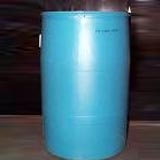 Usage: Used as corrosive inhibitor, widely used in solar energy converting system, the cooling system of pile in nuclear power plant, cooling system of motor engine and gas engine. Used with other inhibitor, it will get better effect.